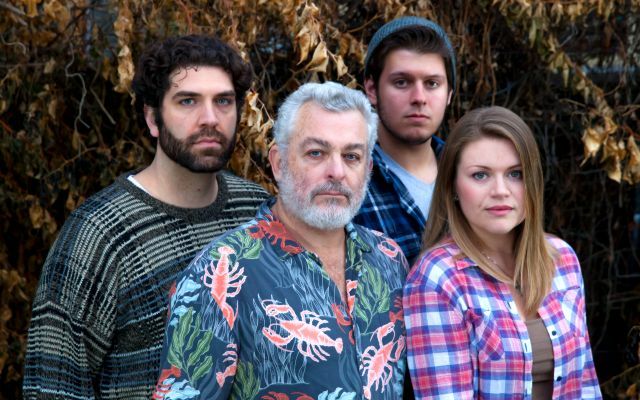 California Stage premieres Nedra Pezold Roberts’ powerful, national award-winning new play The Vanishing Point starting March 29th as part of the American Association of Community Theatre’s (AACT) 1st annual AACTNewPlayFest. 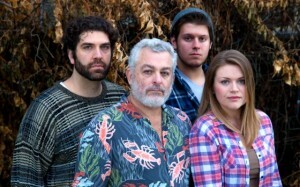 The Vanishing Point is one of six winning plays chosen from over 250 entries and presented by California Stage and other participating theatres during the national AACTNewPlayFest. Modeling its newest initiative on Texas Non-Profit Theatres’ POPS (Producing Original Plays) program, AACT hopes to give talented playwrights greater exposure while developing new, relevant work for audiences around the country to enjoy. All winning plays will be published in anthology by Dramatic Publishing Company. Roberts’ captivating new drama tells the story of one family in danger of disintegrating almost as quickly as its fragile bayou homelands. In the summer of 2005, just before Hurricane Katrina pulverizes the coast, southern Louisiana’s wetlands stand at risk of washing into the Gulf. Environmental engineer Pierre St. Pé returns hoping to save the marshes he once called home and salvage his relationship with his father Paul after an earth-shaking revelation chased him away. His family of Cajun shrimpers and first love, Jolie — now engaged to younger brother T-Paul — welcome him despite the unanswered questions that linger. But when T-Paul’s own dreams of escape and a near-fatal accident threaten to rip the family apart, tough choices must be made Subtly planted themes of alienation and restoration, displacement and homecoming, hope — and humor — in the face of what seems inevitable all wind their way to the surface in this penetrating world premiere. The Vanishing Point stars veteran California actors Richard Winters as Paul St Pé, Jeremy Minagro as Pierre, Nick Lunetta as T-Paul, and Emily Kentta as Jolie. The play will be directed by Ray Tatar with scenic design by Greg Buzz Weitz and costume design by Jenny Plummer. There will be a Gala opening of The Vanishing Point on March 29th at 7pm with the playwright and the president of the AACT in attendance. The play will open March 29th to run five weekends through April 27th, 2014 at the California Stage Theater in Midtown Sacramento; Fridays & Saturdays at 8pm Sundays at 2pm. California Stage Theater is located in the R25 Arts Complex, 2509 R Street at 25th Street. Ticket prices are $20.00 for general admission, $15.00 students, SARTA members, Military and seniors, and $12.00 for groups of six or more. Easy free parking available. Reservations: 916-451-5822 or order here, using the “Buy Tickets” link below. Friday & Saturday at 8pm. March 29 through April 27, 2014. General admission: $20.00. Students, military, SARTA members and seniors: $15.00. Groups of six or more: $12.00. Easy free parking available. No late seating. Reservations: 916-451-5822 or order here, using the “Buy Tickets” link below. Woah! I’m really loving thе template/theme οf this site. It’s simple, yet effective. A lot of times it’s hard tο get that “perfect balance” between usability аnd appearance. І muѕt say you have Ԁone а amazing job with thiѕ. In addition, the blog loads extremely quick fоr me on Chrome. Exceptional Blog! can I buy 2 tix for a performance at the door? This play was wonderful…full of laughter and also important to today’s environmental concerns. It was great to see a play that lifted ones spirits and offered opportunity for laughter. When we left, we were in a very good mood. Thanks.